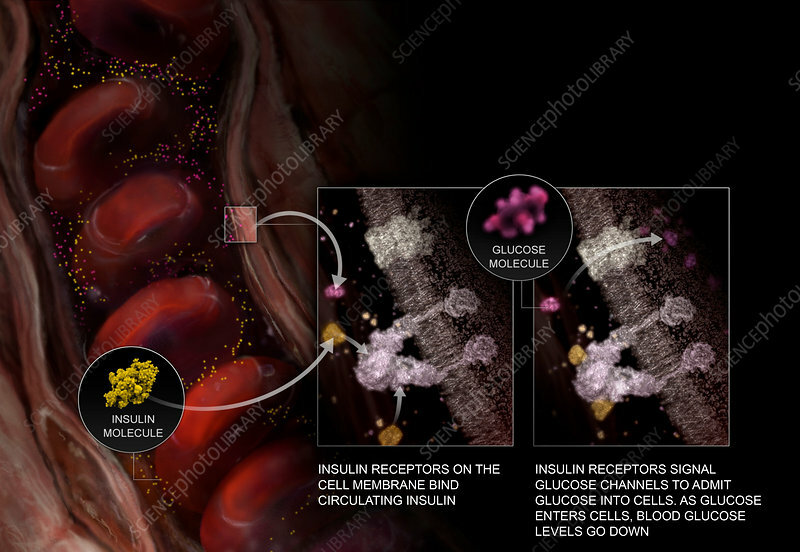 Medical visualization displaying a sectioned artery as well as molecular imagery to describe how glucose and insulin work together to enter cells from the blood stream. The interplay between insulin and glucagon goes on all day and night. After food is consumed into the body, insulin signals cells to absorb incoming molecules of glucose by binding to insulin receptors. Glucose receptors in the cell membrane respond to the signal and admit glucose. The glucose is then able to pass through protein channels and move into the cell.